Ahead of the Aug. 31 negotiations, people familiar with the talks offered different views on progress. Three people said that a preliminary agreement appeared likely to be announced as soon as Aug. 31. But three others said too many issues remain unresolved to predict an outcome, even though there was positive momentum. They all spoke anonymously because negotiations are private. One of the key issues, over dispute-settlement panels, is said to be unresolved. The people commented the same day that Canadian Foreign Affairs Minister Chrystia Freeland met several times in Washington with U.S. Trade Representative Robert Lighthizer to reach a deal on the North American Free Trade Agreement. Her country rejoined face-to-face negotiations Aug. 27, a day after the United States and Mexico announced a preliminary agreement on NAFTA. Talks resumed Aug. 31 but no deal was reached, and both sides agreed to resume discussions Sept. 5. 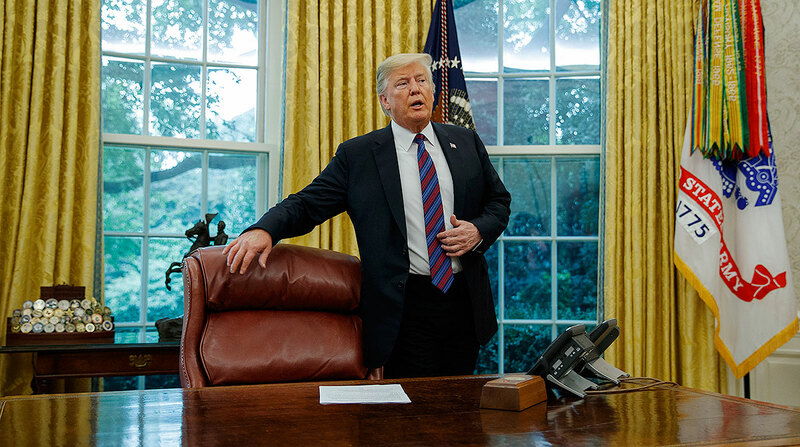 The Trump administration wants Canada to sign on to the arrangement by Aug. 31, when it will notify Congress of a deal that would allow current Mexican President Enrique Pena Nieto to sign before his successor takes over Dec. 1. Trump must notify Congress 90 days before signing the pact, which will need the approval of lawmakers. Talks of some kind with Canada are likely to stretch into September even if the preliminary agreement is announced Aug. 31. Trump and Canadian Prime Minister Justin Trudeau have struck an upbeat tone this week as Canada rejoined discussions after sitting on the sidelines for more than a month while the United States and Mexico squared away their bilateral issues. “We need stability, we need predictability. We want investors to know that when they’re making a deal with Canada under these rules, that those rules are going to be around for a while,” Canadian Trade Minister Jim Carr said in an interview on Bloomberg Television in Singapore on Aug. 31. “There’s a possibility” an agreement will be reached [Aug. 31], but Canada doesn’t want “a deal at any cost,” he said. Freeland, the senior Canadian official in charge of NAFTA, has said difficult issues still must be resolved but that negotiators are making progress. A breakthrough likely will require a trade-off between the nations. The United States wants access to Canada’s protected dairy market, and Ottawa is prepared to offer some, two officials said. While other hurdles remain, an agreement where America softens its demands to eliminate a dispute-settlement panel in return for Canadian concessions on dairy may pave the way for a deal. The two countries haven’t made progress yet on the issue known as Chapter 19 dispute panels, which Canada supports in the existing NAFTA deal but the United States wants to scrap, according to two people familiar with the talks who spoke on condition of anonymity to discuss private deliberations. Another key issue is U.S. tariffs on steel and aluminum imports, though it’s unclear whether relief from those will be included. Mexico didn’t get any reprieve in its own agreement Aug. 27.